Dr. Matos-Cloke is a Board Certified Internist with more than 20 years of experience, including 10 years of teaching Primary Care Medicine to residents and medical students (received Faculty Teaching Achievement Award). She is passionate about health and helping her patients achieve well-being. 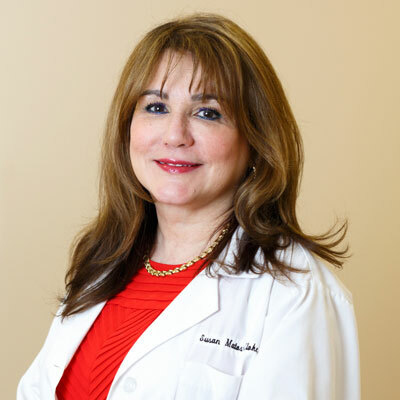 Dr. Matos-Cloke also served as Medical Director of St. Joseph Hospital’s Family Health Center as well as the Department Head of their Primary Care Teaching Program. Her interest in Bio-identical Hormone Replacement Therapy (BHRT) grew out of frustration, “I became increasingly frustrated when patients, those suffering from peri-menopausal, menopausal, and andropausal, came in for refills of anti-depressant and anti-anxiety medications that were prescribed by their other physician’s to treat their symptoms. I knew they were not depressed or anxious, their hormones were out of balance and they needed a treatment to replace the hormones that their bodies were no longer producing. After much research I finally decided to train with Dr. Gino Tutera, founder of SottoPelle®, a natural pellet based hormone replacement therapy. Study after study has shown that the only truly effective and consistent means of delivering hormones into the bloodstream is via pellet therapy, there are not many trained physicians in the northeast who subscribe to this method”. Established in 2010, Advanced Hormone Solutions has helped hundreds of men and women to reclaim their well-being. Our unique treatment method is based on prescribing the right kind of hormone (biologically identical), in the correct amounts (determined through testing & proper analysis of blood results), and using the right delivery method (pellets).